New Delhi : Canada's Donna Strickland has created history by becoming the third female recipient in history and the first in 55 years. In the remarkable occasion, she said that women have "come a long way" since the previous laureate, Maria Goeppert Mayer. 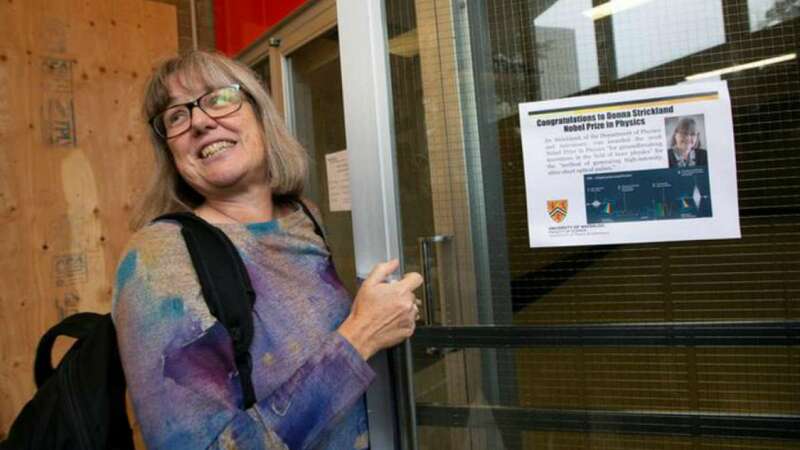 Donna Strickland is the first female Nobel Prize winner in the field of physics since 1963. She ha became an inspiration for women today. When I get on my soapbox if I'm teaching them, I talk about Mary. I did cite her in my own thesis," she told a briefing from the University of Waterloo where she teaches. "I will also admit, sorry, I actually called her he in my thesis. Except, one of the people reading the thesis said 'shame on you, Donna' and changed it to she. And I did not know that she was that she," Strickland said. In 1939, Maria Goeppert Mayer had "predicted that an atom could absorb two photons," says Strickland. "It was a woman who thought of it -- and changed the way we do the science. "And yet, she just followed her husband from job to job while he became a professor and went up the ranks and moved to universities to do that as a chemist," she went on, noting that the work she cited Goeppert Mayer on was from 1939. "Obviously, women have come a long way. I felt like all along I have always been paid and treated the same," she said with a smile. Prime Minister of Canada, Justin Trudeau said that "with her colleague Dr. Gerard Mourou of France, Dr. Strickland was awarded one half of the 2018 Nobel Prize in Physics for the development of a new technique to create short, intense laser pulses. "Their innovative work can be found in applications including corrective eye surgery, and is expected to have a significant impact on cancer therapy and other physics research in the future." He appreciated Strickland "for inspiring other women and young girls to dream without limits and pursue the careers of their choice." The other half of this year’s physics prize was awarded to Dr. Arthur Ashkin, who became popular for his work revolutionizing laser physics.